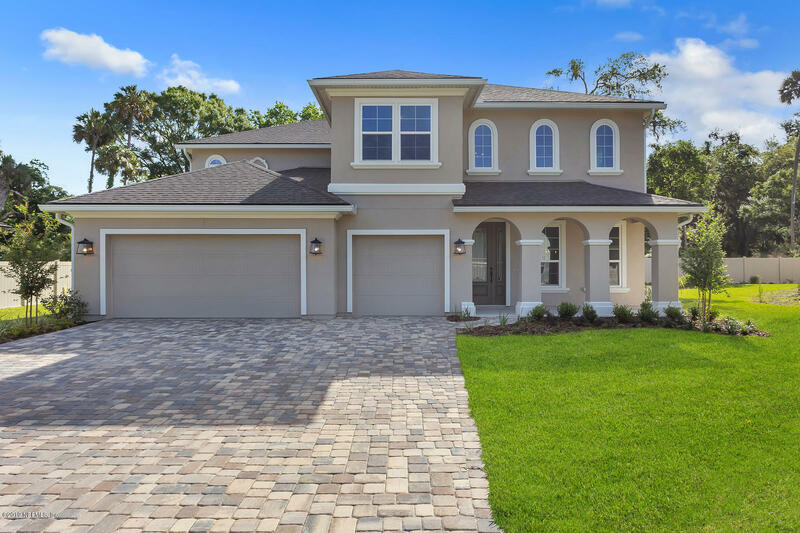 This is the last available new home in the Enclave at Ponte Vedra Beach. This beautiful home looks just like one out of a designer magazine! The great room and the dinning area both flank the Designer Kitchen. Quartz countertops,plank tile flooring, and stainless steel appliances are just some of the many builder options. There is a first floor bedroom, plus a deluxe master and 3 more bedrooms and a game room upstairs. Lots of storage and a three car garage. The main floor has 10 ft ceilingsThis beautiful home is conveniently located close to Schools, libraries, shopping restaurants and the beach is approx. 7 miles east. No CDD Fees!More pictures coming soon!! !